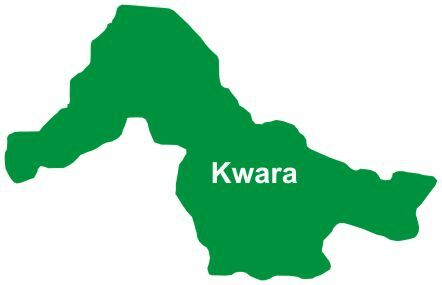 The men of Kwara State Police command have arrested 13 people for alleged illicit sales of Nigerian currency notes. The suspects, among whom were three females, were rounded up by policemen at the Oja Tuntun area of Ilorin, the state capital on Friday. The suspects are staff of Lasoju Printing Press, situated at Oja Tuntun area, belonging to a certain Alhaji Abdulrasaq Lasoju. Parading the suspects at the state police headquarters, the state Police spokesperson, DSP Ajayi Okasanmi noted, the security agency is working in collaboration with the Central Bank of Nigeria(CBN) in fighting the illegal sales of naira notes. He stressed that it is criminal to hawk, sell or trade in naira notes and coins issued by the apex bank, saying, "it is contrary to the CBN Act section 20 and 21, which makes the selling or trading in Nigeria currency a punishable offence." He said that the police recovered from the suspect's huge amount of money consisting of various denominations during the arrest. "Investigation into the matter is ongoing to ascertain the source or sources of the naira notes," he added. The spokesperson vowed that the police and the CBN will continue the clamp down on perpetrators of the offence, which is punishable by law. "Members of the general public are hereby warned against spraying of naira notes at occasions, soiling, writing on the naira, squeezing and all other abuses of the Nigerian currency. "They should desist from acts of abuse of the naira as the currency is one of the symbols of Nigeria�s identity," Okasanmi noted. He disclosed that the suspects will be charged to court upon conclusion of investigation into the matter. However, while fielding questions from newsmen, one of the suspects, Abdulkareem Adebayo said their company deals in changing naira notes for clients. "It is my boss' business. Some of those arrested do not work with us; they were at our office to change their money to new naira notes. On how they transact business, Adebayo explained that they charge N300 over every N1,000 they change into new N50 notes. The suspect who claimed not to have knowledge of the source of the money, said he left Lagos, his former base for Ilorin to join the business.